If you think Halloween is over, think again. This coming Halloween, be very afraid as evil unleashed itself at Jurong Spring Community Club. Dare yourself or form your group of 4 to challenge our fright walk Horror School Mission within the given time frame! Do check out the trailers on our facebook page! 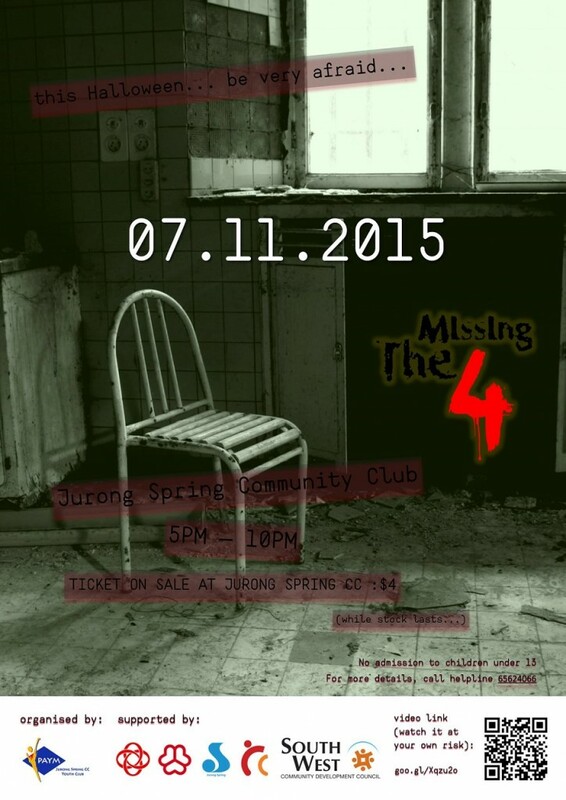 Ticket on sale now at Jurong Spring Community Club at $4 each (while stock lasts). For more details, call 6562 4066. * No admission to children under 13. Tickets can be purchase at Jurong Spring CC. For further information, visit Jurong Spring Youth Club – Facebook event.